Many great parents in Aurora do their utmost to help their children develop and maintain healthy smiles, and when it comes to choosing a dental office, some parents think that means taking their kids to specialty pediatric practices. At D’Amico & Mauck, DDS, we are happy to provide complete care for kids and adults all under one roof. Our Aurora dentists and dentistry team offer comprehensive adult and children’s dentistry services all under one roof, so our busy parents don’t have to worry about making multiple visits to two or more dental offices to keep their families smiling. If you want to schedule an appointment for your kids at our dental office in Aurora, give us a call today. We look forward to helping you and every member of your family achieve and maintain the optimal level of oral health. We are proud to have two of the best dentists in Aurora on our team. Matt Mauck, DDS and Andrew Ricci, DDS. Both Dr. Mauck and Dr. Ricci are dedicated dentists who have spent years completing doctoral work and advanced education and training to ensure they can deliver exceptional dentistry services to all of their patients, at all ages. In order to deliver the best possible dental care, we have surrounded ourselves with the best dental care team in Aurora. Every member of team is passionate about patient care, and they work hard to make both adults and kids feel welcome, safe, and comfortable when they visit us. Convenience – you can save hours when you bring the whole family to the same dental office rather than making more than one trip. 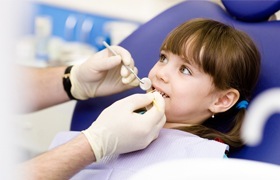 Comfort – your child will get to see you at the dental office, and they’ll have the opportunity to work with the same team of professionals throughout their dental development, ensuring their safety and comfort. 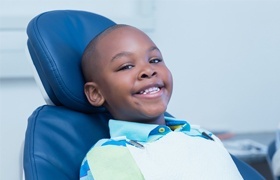 Consistency – when a child is able to visit the same dentist year after year for all of their dental care, they receive consistent treatments that ensure the development of healthy, happy smiles. Like adults, kids need to visit our team twice a year for dental exams and teeth cleanings. During these appointments, we’ll do our utmost to help kids develop their healthiest smiles and learn to love visiting the dentist. Our knowledgeable dentists, hygienists, and team members are also your partners in helping young patients learn to care for their smiles at home. We’ll be happy to show kids proper oral health care techniques, recommend the best hygiene products, and do everything we can to help you and your kids keep healthy smiles for life. Dental Sealants – by placing a thin coat of dental sealant material onto teeth, we’re able to minimize risk for tooth decay and oral health concerns. Mouthguards – for our young athletes, we offer custom crafted sportsguards to protect their smiles during athletic events where their smiles can come into contact with other players, hard objects, and sports equipment that can cause damage. 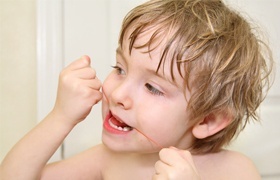 Emergency Dentistry – kids are accident prone, and if your child experiences any dentistry-related emergencies, we can help relieve pain and put the smile back on their face.